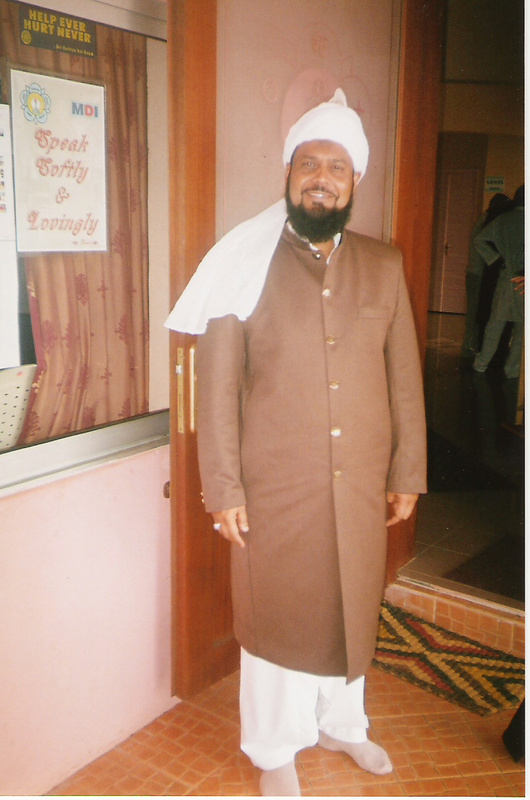 From the early years of the Divine Manifestation in Mauritius, Khalifatullah Hadhrat Munir Ahmad Azim Saheb (atba) recieved from the Unseen so many spiritually-uplifting messages, including known and unknown prayers and supplications in the Islamic tradition. Like the Qur'an testifies, in the dawn of human memory and world history, Allah (swt) did teach His Khalifa (Khalifatullah of the era) Hadhrat Adam (as), about the names of things. Even in this age, Allah (swt) continues His enduring practice: through dreams, visions and Divine revelations vouchsafed to His Chosen Messenger, teaching him ways of offering prayers and supplications, Alhamdulillah, Allahu Akbar! Presented below is a revealed poem in Urdu, recieved on 13 June 2002, along with a detailed Commentary and explanations on the same offered by Hadhrat Saheb (atba) while addressing the gathering of the Siraj Makin in Mauritius, on 14 August 2016. Today is a Public Holiday in Mauritius (i.e. Maha Shivaratree). Perhaps in the other countries also, they are celebrating the Maha Shivaratree. 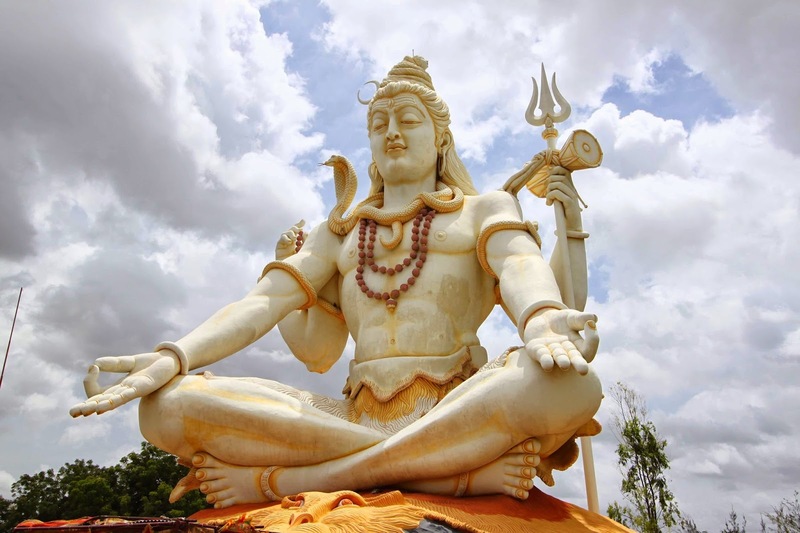 My Hindu friends have requested me that today in my Friday Sermon I talk about their three gods: Brahma, Vishnu and Shiva. Save those whom my Love has elevated with His precious comprehension. Be untouched by anything which may separate the Creator with His subject. Divine revelations and prophecies unravel in subtle ways in the fullness of time: testifying to the Grandeur and Mercy of the Lord by confirming the essential truth of what a Divine Elect foretells the world. Yet, the ways of the Lord Almighty are unknowable for the most part, except to the extent and limits of what He chooses to reveal through His Elects. Sometimes, even the Divine Elects themselves may not comprehend in full measure the nuances and implications of a Prophecy they are made to proclaim, as the Lord in His Infinite Wisdom may choose to keep hidden certain aspects till a time or "substitute one revelation for another and God knows best what He reveals"(16:102, 2:107,13:40). And the realization of such prophecies, thus, often may not confirm to the dominant notions and prevailing imaginations of people. Today, there are major differences of opinion among the various Ahmadi sects about the meaning and interpretative implications of the prophecy on "Musleh Maoud" made by the Khalifatullah of the previous era, Al Imam Al Mahdi, Hadhrat Mirza Ghulam Ahmad (as) of Qadian. 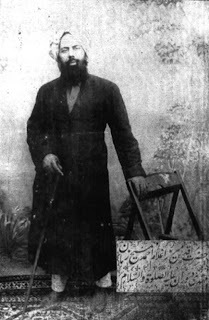 'Mainstream' Ahmadis of the Jamaat-e-Ahmadiyya (Qadian) feel that the prophecy was fulfilled in the person of the second caliph, Hadhrat Mirza Bashir-ud-Din Mahmud Ahmad (ra) (1889-1965) and they attach only some anecdotal value to the fulfillment of this prophecy today, as they do not find any contemporary relevance to it, in a new century of Islam. 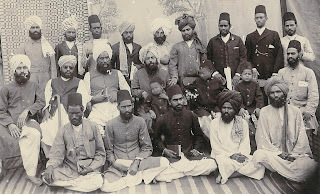 On the other hand, many other sects of Ahmadis who also believe in the spiritual claims of the Promised Massih (as), do not consider that the prophecy regarding the advent of a Musleh Maoud is fulfilled,especially since they retain, regrettably, animus against the family and physical progeny of the Promised Massih (as). 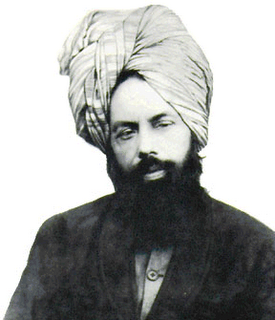 Many of these groups also feel that the fulfillment of the prophecy is only concerned with the advent of a Mujaddid or a Ma'mur or a Khalifatullah in the new century of Islam- in the Fifteenth Century Hijri, and are waiting for a spiritual churning to take place within the world of Ahmadiyya Islam, especially with the advent of a number of claimants who say they are recipients of Divine revelations in this era. On the prophecy Musleh Maoud, the Jamaat Ul Sahih Al Islam offers a very appealing discourse on the issues and points at the heart of the debate. Devout and thoughtful people among the Ahmadis of various denominations will find much to reflect in the perspective of the Jamaat, as it illumines the Prophecy on Musleh Maoud without falling into the pitfalls that the other perspectives suffer from, right now. 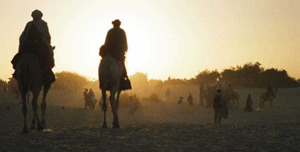 Consider the glaring differences: 'Mainstream' Ahmadis have ignored the continuing validity of the Prophecy in the new century of Islam by their denial of significance to the statements and clarifications of Hadhrat Khalifa Sani (ra) while claiming to be the 'Musleh Maoud' of his times, and more importantly, the vital words of Allah (swt) Himself, in the form of Divine revelations vouchsafed to the Promised Massih (as) on the question of his spiritual progeny. On the other hand, the perspectives of the other Ahmadi sects openly reject the intimate connection the Prophecy has with the 'physical' progeny of the Promised Massih (as). As against these glaring lacunae in the understanding of the different groups, Jamaat Ul Sahih Al Islam upholds both the 'physical' and 'spiritual' dimensions of the prophecy Musleh Maoud. While pointing to the fulfillment of this prophecy in the previous era in the physical progeny of the Promised Massih (as), it also calls attention to the continuing relevance of the Grand Prophecy in the new century of Islam for the spiritual progeny of the Promised Massih (as, especially with Allah (swt) raising Hadhrat Munir Ahmad Azim Saheb (atba) of Mauritius with Divine revelations to proclaim the fulfillment of this prophecy in this era as well, Alhamdulillah, Allahu Akbar. Reproduced below is the text of a Speech delivered by Hazrat Tayyeba Shaheeda Aliah Nasrine Saheba on February 20, 2016 on the Prophecy Musleh Maoud. With copious references from the original sources, the Speech calls attention to the profound spiritual background and historic context of the prophecy Musleh Maoud, even as it provides illuminating inferences on its contemporary relevance. And to Dawud (David) We gave Suleiman (Solomon). How excellent a slave he was! Surely he was frequent in turning (to Allah) in repentance. (Sad, 38: 30). 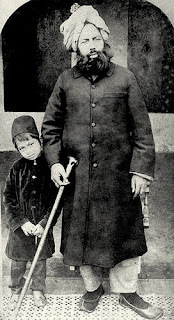 Hazrat Mirza Bashiruddin Mahmud Ahmad (as) was the second successor of the Promised Messiah Hazrat Mirza Ghulam Ahmad (as). He was a distinguished Khalifa because his birth was foretold by a number of previous prophets and saints. Moreover, the Promised Messiah (as) received a Divine Sign for the truth of Islam as a result of his forty day's prayers at Hoshiarpur (India). God Almighty told him that a pure son would be born to him within the period of nine years. He had already published this prophecy regarding his Muslih Ma'ud (Promised Reformer) on 20 February 1886. In accordance with this divine prophecy and within the specified period, the Promised Son, was born to the Promised Messiah (as) on 12 January 1889 at Qadian. He was named Bashiruddin Mahmud Ahmad. The prophecy about Muslih Ma'ud had also specified some special qualities of the promised son and reformer. For instance, it was foretold that he would be extremely intelligent and highly learned. His fame will spread to the ends of the earth and nations would be blessed through him. My dear disciples, please be aware that Muslims who copy Europeans seek the source of the Kawthar (Paradisiacal fountain) in a mirage. They are all ignorant of the secrets of faith; They are filled with hatred and resentment. Goodness and good are a dead letter for the privileged (the rich in this world); I found only truth and purity among the small people (i.e. those of humble means). Learn to distinguish people of religion (faith) and people of hatred. Seek out a true friend and stay with him. I am afraid of that time (era) which has seen you born O my dear disciple - you who are the reflection of my own soul; It (that is, this era) is drowned in (worldly) matter, and knows little about the soul. As the body loses its value when the soul is absent, the man of God hides within himself. The search does not succeed in finding him, although it sees him face to face. So do not give up the taste for research, even if a hundred difficulties arise in your life. If you do not find the company of a wise man, take from me what comes from my father and my ancestors. Choose my master (Nabi Kareem, the Holy Prophet Muhammad (pbuh)) as a companion, so that God may grant you the desire and fervour (of faith), for my master (pbuh) knows how to distinguish things and knows the bark (of a tree; in other words, the extrinsic) and the core (i.e., the intrinsic). His foot stands firmly on the road that leads to the Friend (Allah). Many explanations have been given about him, but no one has really understood him. His true meaning escaped us, like the gazelle. Men have learned to dance with their bodies, reciting their words, but their eyes have not opened to the dance of the soul! The dance of the body make dust swirl whereas the dance of the soul moves the heavens. Science and wisdom come from the dance of the soul. The earth and the sky also come from this dance. It gives the individual the rapture of Moses, and thanks to it, the community (of the pious) becomes the heir of the Kingdom! My Friday sermon is addressed to members of the Jamaat Ul Sahih Al Islam and also to everyone. Each one of you must exhort to mutual love, generosity, the practice of Islam and the knowledge of oneself. The one for whom the word Allah was a viaticum (that is, the Muslim) is now under the control of attachment to material goods and the fear of death. Drunkenness (in favour of Spirituality/ to lose oneself in Spirituality), fervour and joy have deserted him: His religion is found in the book, and he is himself in the grave. The soul has left the body of fasting and prayer and other pillars of Islam; And as the soul has left prayer and fasting, the individual is without harmony and people without discipline, hearts being empty of the warmth of the Quran. How can we hope for an improvement from such men? O Allah! The Muslim has abandoned the self, hold out Your hand to him, for the water covers him higher than the head. The prostration (in Salaat) that makes the earth tremble has the power to make the sun and the moon turn according to its desire. If it were to seek the meaning of this prostration, the stone would vanish in the air like smoke! But now the Muslim no longer knows humility, there is nothing else in him but the weakness of old age. Who still realizes the majesty of the words spoken during the prostration: "My Lord (Allah) is Most High" (Allahu Akbar)? Is all this due to our fault, or is it believed that there is some weakness (may Allah preserve us from this thought) in these words? Everyone moves quickly on his own path. Only our mount is without bridle and roams endlessly without a goal. Possessing the Quran and having no ardour for research is a very strange thing. If the Lord has endowed you with vision, look at the coming times: rash reasons and hearts without ardour, eyes without shame and drowned in illusion, science and art, religion and politics, intelligence and sensibility, everything revolves around material things. Young people have thirsty lips, but their cup is empty; The faces are well washed, but the soul is black; The intelligence is luminous but has only a weak vision, it is devoid of certainty and hope. The young people's eyes have seen nothing in the world: They are poor beings, denying themselves, believing others. O my disciples, be always sincere in all your actions; Free yourself from the fear of kings, so-called superpowers and potentates. Do not renounce justice in anger or contentment; Keep moderation, whether you are rich or poor. The precept is difficult, do not ingeniously try to interpret it. Do not look for a torch except in your own hearts. The support of the souls is the Zikr and the Fikr, and as for the support of the bodies, it is in the respect of oneself during youth. In this world as in the other, power is acquired only by the maintenance of the soul and the body. The purpose of the journey is the joy of contemplation (i.e. contemplation of Allah as the Unique Creator). The secret of religion consists in saying truthful words and abstaining from forbidden food. Solitude and companionship is to contemplate the Divine Beauty. In the way of religion, be unbreakable like the diamond. Bind your hearts to Allah, and live without vain scruples. 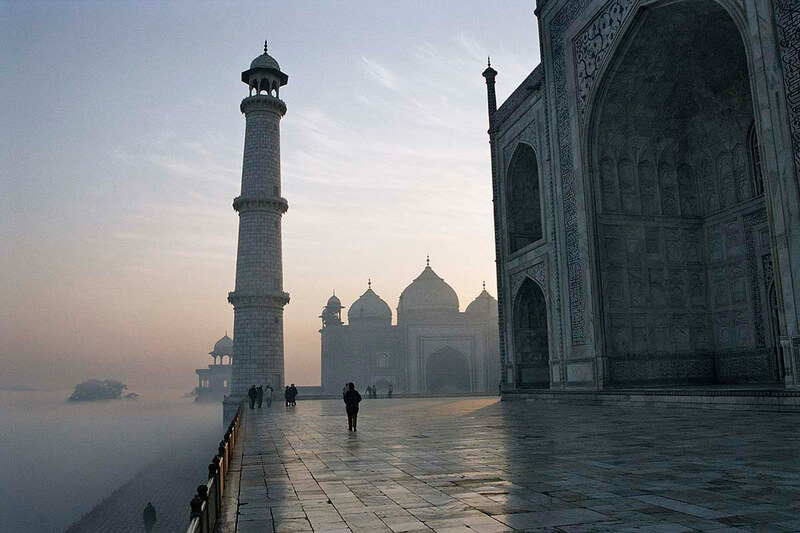 Historically speaking, Islam spread in the Indian subcontinent through a gradual process lasting over centuries. While South India, Kerala in particular, witnessed the advent of Arab traders and early Muslim merchants from Yemen as part of the organic process of international trade in those early days of Islam in the seventh, eight, and ninth centuries; the North of India witnessed powerful military struggles for political dominion and the Muslim armies succeeding in establishing themselves as rulers in this vast land. 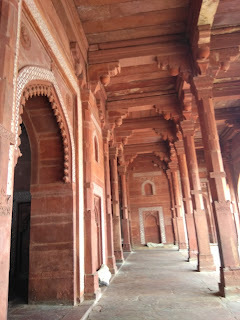 Delhi, the capital city of India, has thus been a major centre of the Muslims over the millennia. Muslim dynasties, including the Grand Mughals, ruled over Delhi for over seven centuries before the British colonial era began in the subcontinent. With the establishment of Muslim empires in India and the relative peace it brought into the region from the political turmoil in the extended neighbourhood of India, many Sufi saints and their disciples from different parts of the Islamic world began to travel to India and began settling down here, thereby triggering in its own way conditions for the spread of Islam through the nooks and corners of India. 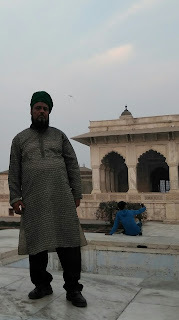 Among the major Muslim saints and sages of the medieval era, Godly men who settled in and around Delhi and other parts of North India, one can count several illustrious names: Hadhrat Qutbuddin Bakhtiar Kaki (ra), Hadhrat Mueenuddin Chishti Ajmeri (ra)(1132-1236); Hadhrat Faridudin Shakar Gunj(ra) (1212-1269); Hadhrat Nizamuddin Aulia Dehlvi (ra)(1233-1325); Hadhrat Shiekh Ahmad Sarhindi (ra) Mujaddid Alf Sani (1563-1624), Hadhrat Shah Waliullah Muhaddis Dehlvi(ra)(1703-62), etc. I see the power of the Creator and I see the plight of the age. In Khorasan, Egypt, Syria, and Iraq; I see sedition and wars. Everyone is in a wretched state, even the highest and the best. I hear a strange story: I see grief and sorrow everywhere. I envision the joy of meeting the Sweetheart. I envision the rising of the sun of a happy spring. I see that he will be succeeded by his illustrious son. And I read: Alif, Ha, Mim, and Dal. And he is the champion in both capacities. And his justice is the fortress for one and all. Acceding to the request and invitation of his disciple Fazil Jamal Saheb, Muhyi-ud-Din Al Khalifatullah Hadhrat Munir Ahmad Azim Saheb (atba) of Mauritius and the blessed members of the Household agreed to include a visit to Agra and Delhi as part of the Tour Programme during the India visit, Alhamdulillah, Soumma Alhamdulillah. Once the Kerala-segment of the India Visit was completed, the Team that included the family of Fazil Jamal Saheb and also our brother Sulfikar Ali Saheb travelled to Agra from Kannur Railway Station on the evening of January 22, 2017. 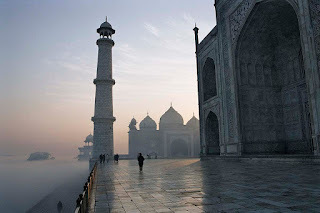 Two days later, on the 24th Tuesday morning, everyone reached Agra, checking into the Hotel and taking rest for some hours. In the afternoon, the Team visited the Agra Fort, one of the World Heritage Sites in India, designated by the UNESCO, marking its significant cultural and historical value. 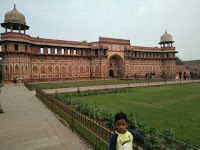 The Agra Fort was built up by the Mughal Emperor Akbar in the 1560s as his Imperial Capital in red sandstone, soon after consolidating his political sovereignty over North India. 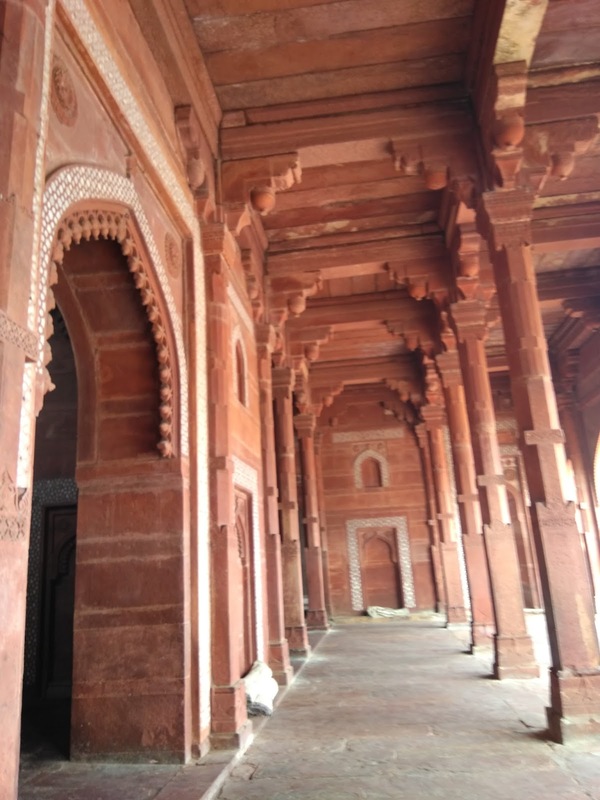 At one point of time in history, Agra Fort was the highest political seat of the Government of India or the capital of the Mughal Emperor so as to conduct the State proceedings, including the reception ceremonies of Foreign Ambassadors. The sensitive political decisions regarding foreign relations and the internal administration of different State provinces and regions used to be taken at the court so much so that senior officials would have to camp at the place for several days often to have an audience with the Emperor on such strategic and diplomatic and administrative matters. Jamaat Ul Sahih Al Islam, India was established and officially registered with the government in the State of Kerala in the year 2010, with the Bai’at of our brother Mukarram R. Jamaluddin Raother Saheb of Mathra (presently Amir Saheb of the South Kerala Jamaat), Dr. E. Tahir Saheb of Kannur (presently Amir Saheb of the North Kerala Jamaat) and the other brothers in Alappuzha. 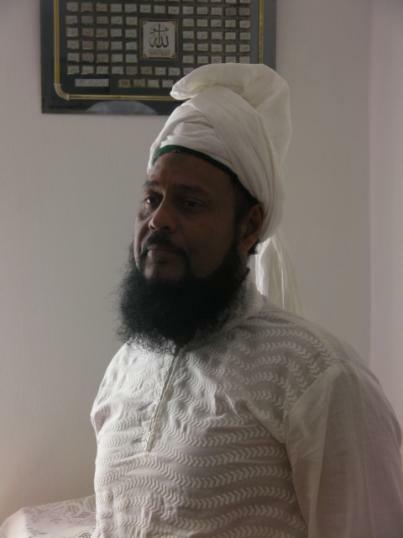 It has been a longstanding wish of the members of the Jamaat in Kerala to meet with the Divinely-inspired and appointed Muhyi-ud-Din of this era, the Khalifatullah Hadhrat Munir Ahmad Azim Saheb (atba) of Mauritius, ever since the time Allah (swt) blessed them with the light of faith to recognize and accept His Messenger of the era. Alhamdulillah, it is this cherished spiritual wish of the sincere believers that has come to fruition with the visit of the Khalifatullah (atba) and the blessed family members to India in January 2017. 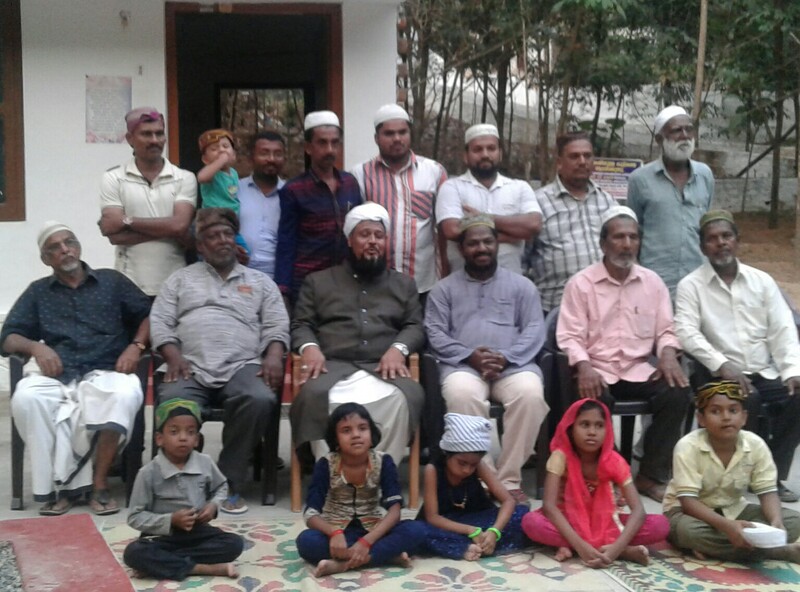 Travelling from Mauritius through Dubai, Chennai and Thiruvananthapuram airports, with the delegates from the Jamaat Ul Sahih Al Islam- South Kerala joining them at both Chennai and Thiruvananthapuram, the larger caravan of people reached Mathra on the night of January 16, 2017, Alhamdulillah. For the post on the arrival of Hazrat Khalifatullah (atba) in India, click here. 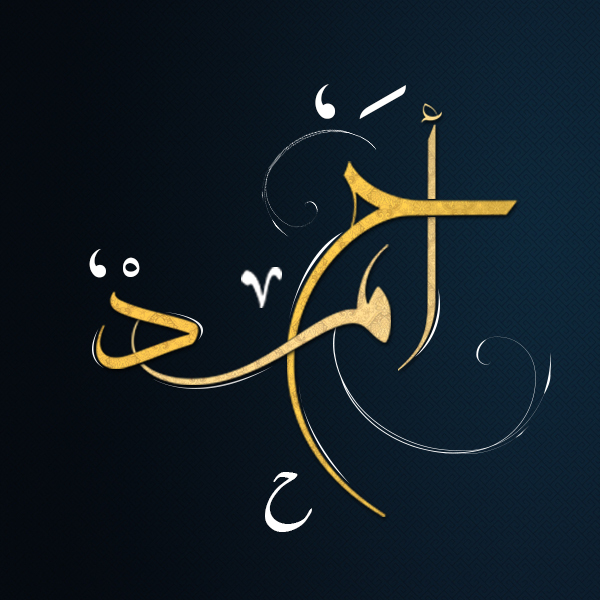 February 2017 marks the seventh anniversary of the Sahih Al Islam Blog- 'Spiritual Reflections'. From its modest beginnings in 2011, the Blog was always conceived as a platform to share the larger spiritual message of the Divine Manifestation in Mauritius, especially the sermons and writings of the Muhyi-ud-Din Al Khalifatullah Hadhrat Munir Ahmad Azim Saheb (atba). The Blog also published a variety of other writings that engage with issues of spiritual and secular concern, apart from being a depository record of the events and activities of the Jamaat Ul Sahih Al Islam International. Since its inception, the Blog has published over 500 articles on various issues, Alhamdulillah, Soumma Alhamdulillah. 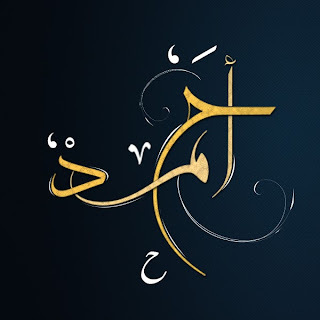 As the Sahih Al Islam Blog marches into the new year of its publication, we celebrate the occasion by sharing a poem by Hazrat Tayyeba Nasrine Aliah Saheba. Under the merciful gaze of the Lord. We have found our Shelter. 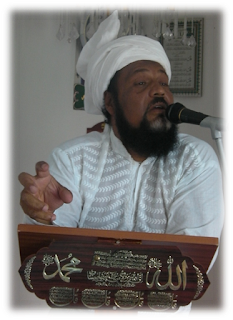 As reported here, the Muhyi-ud-Din Al Khalifatullah, Hadhrat Munir Ahmad Azim Saheb (atba) of Mauritius and the blessed members of the household made a two-week visit of India in the second half of January 2017. Travelling from Mauritius through Dubai, Chennai and Thiruvananthapuram airports, with the delegates from the Jamaat Ul Sahih Al Islam- South Kerala joining them at both Chennai and Thiruvananthapuram, the larger caravan of people travelling along with Hadhrat Khalifatullah (atba) and family members, reached Mathra on the night of January 16, 2017, Alhamdulillah. For the Blog coverage on the arrival of Hadhrat Khalifatullah (atba) in India on the visit, click here. 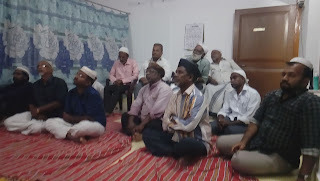 Members and well-wishers of the Jamaat Ul Sahih Al Islam, Kerala travelled to Mathra from their respective places across the State as to stay close to Hadhrat Khalifatullah (atba) during the days of his stay at the Noor’ul Islam Masjid, Mathra which function also as the headquarters of the Jamaat in Kerala. On the dawn of January 17, 2017 all brothers and sisters in Mathra assembled at the Noor’ul Islam Masjid for Tahajjud prayers, and later, also for the Fajr Namaz under the Imaamat of Hadhrat Khalifatullah (atba). The long, devout invocations and fervent supplications of the Khalifatullah (atba) during the Tahajjud prayers for the Jamaat and his disciples to the Lord Almighty deeply moved many hearts that morning, Soumma Alhamdulillah. By the grace of Allah, I continue the subject-matter of my Friday Sermon which I started last week in Kerala. Wa aqimis-Salaata tarafayin-nahaari wa zulafam minal-layl; innal hasanaati yuzhibnas saiyi-aat; zaalika zikraa liz-zaakiriin. And establish prayer at the two ends of the day and at the approach of the night. Indeed, good deeds do away with misdeeds. That is a reminder for those who remember. (Hud, 11: 115). You should present all your needs, be they great or small before Allah because He alone is the Provider. He who prays the most and with complete sincerity and humility, is the most good. If a person were to beg every day at the door of the most mean person, one day he too would give something. Why then would a person not find what he asks at the door of God Almighty Who is the Most Generous, without comparison. It is the case that he who asks, does eventually receive. 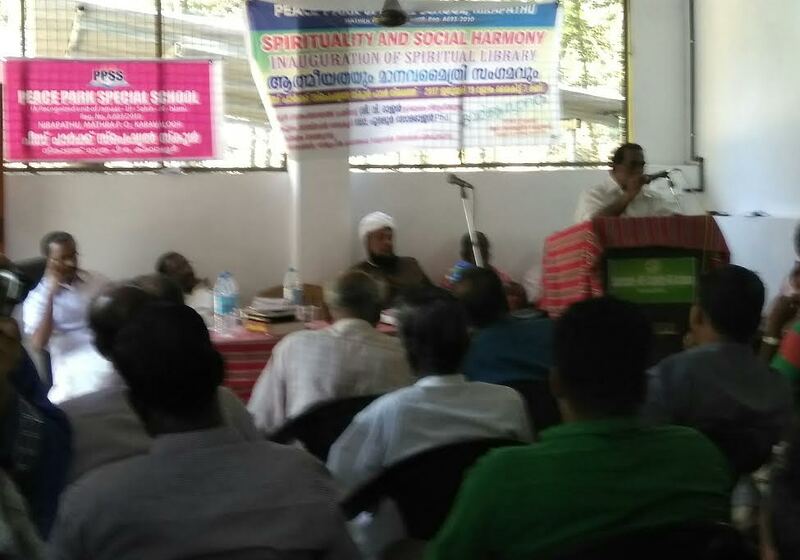 To coincide with the visit of Khalifatullah Hadhrat Munir Ahmad Azim Saheb (atba) of Mauritius to India, the Peace Park Special School at Mathra (an initiative of the Jamaat Ul Sahih Al Islam, Kerala) organized an Inter-Faith Conference on 'Spirituality, Peace and Social Harmony' on Thursday, January 19, 2017. Along with the Seminar, the School also initiated the idea of establishing a 'Spiritual Library' where the religious literature and spiritual traditions of various communities could be assembled for the benefit of its readers and for the purpose of facilitating critical reflections on the original texts, so far as they are available today. At the end of the Seminar, Khalifatullah Hadhrat Munir Ahmad Azim Saheb (atba)of Mauritius recieved on behalf of the School Spiritual Library the many books gifted by different individuals and organizations. At around 3.00 pm, Amir Jamaat Mukarram Jamaluddin Raother Saheb, who is also the Manager of the Peace Park Special School, made welcome remarks to the gathering. President of the Karavalur Panchayat, Mr. V. Rajan, inaugurated the Seminar. Elected representatives of the village, social workers, leaders of different community organizations and members of different religious denominational groups attended the meeting. Those who spoke on the occasion include the following: Arjunan Pillai, Sasidharan, R. Vijayan Pillai, G. Suresh Kumar, K.A. Nebu and Tamimul Ansari. Fazil Jamal Saheb performed the Vote of Thanks at the end of the function, in addition to introducing the chief guest Hadhrat Khalifatullah (atba) to the local community of people who were present on the occasion, besides our Jamaat members. (Inset: News item on the event, Malayala Manorama Newspaper, January 21, 2017, Kollam Edition (Kerala), p.2). The highlight of the event was the Inter-Faith Message of the Khalifatullah (atba). In his sermon, Hadhrat Khalifatullah (atba) focused on the vast, common ground of shared values and humanistic teachings across all major religions and cultural systems, even as he explained the philosophical roots of the Islamic way within the larger Divine scheme of Guidance across time, nations, languages and communities. 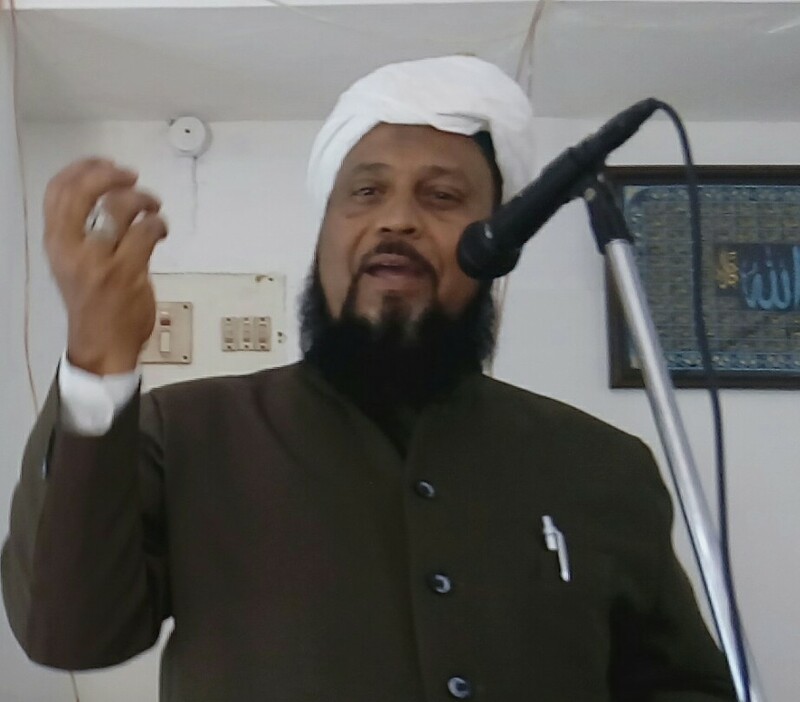 In the course of his recently concluded Tour of India in the second half of January 2017, Khalifatullah Hadhrat Munir Ahmad Azim Saheb (atba) of Mauritius spoke profoundly and movingly on themes of spiritual discipline and progress, addressing both his disciples and other seekers of higher spiritual wisdom. Over the course of several sessions of engagement with his disciples, Hadhrat Khalifatullah (atba) elaborated on the subject of 'Zikrullah', arguably the most important method for the spiritual elevation of the human soul. Based on deep personal experiences of being in a state of 'Zikr' and being vouchsafed with frequent Divine revelations, Hadhrat Khalifatullah (atba) explains the subtle points of practical wisdom to be deployed in the human quest for acceding to the Higher Presence and exhorts one and all to partake of the Divine treasures by following the ways and means of 'Zikr' elaborated here. May the Peace and Blessings of God Almighty (Allah) be upon you. I have chosen today to address you through one of the revealed texts I received from Allah on the Remembrance of God Almighty (in Arabic, the personal name for God is Allah, whose name literally means The One without any associate, without any partner). Holy is His name and most powerful is He above all creations. O Allah! Pour down Your blessings on Muhammad (peace be upon him), his family and his companions, and may them be in peace always! 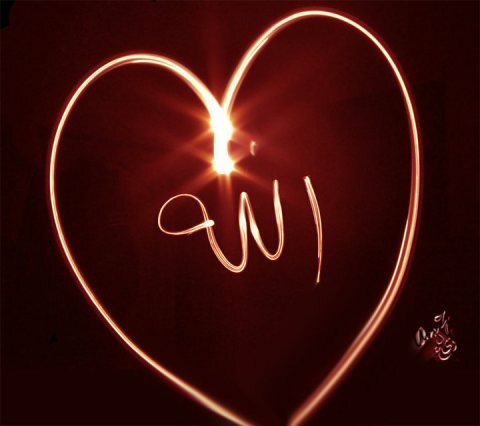 Praise be to Allah Who opens sealed hearts by His remembrance, His thoughts, the Zikr of His name. 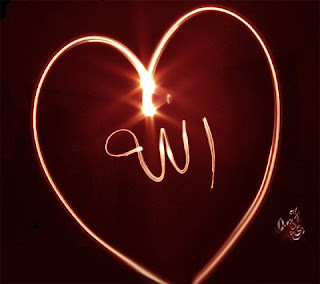 Zikrullah, that is, the Remembrance of God Almighty is the greatest Zikr (that is, Remembrance) which can exist. Verily, the remembrance of Almighty Allah is the key to salvation; it is the light, the lamp which illumines the soul by the grace of Allah, the Generous One, the Victorious One. The remembrance of Allah is the foundation of the path leading to Allah. It is the central pivot which holds fast to the wise people who have realised the existence of Allah. The Muhyi-ud-Din Al Khalifatullah Hadhrat Munir Ahmad Azim Saheb (atba) of Mauritius, along with the blessed members of the Household, recently visited India, January 16-30, 2017. 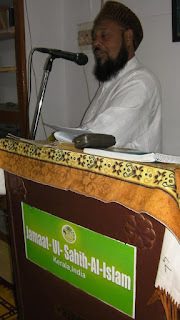 During this tour of India, the Khalifatullah (atba) freely met with his sincere disciples and well-wishers and on several occasions, even addressed the members of the public, bestowing them with his august prayers and generous advices on leading an ethically-oriented, spiritually-rooted harmonious life under Islam. What does it mean to live in the time of a Vicegerent of Allah, a Divine Elect, a Renewer of Faith? How does such belief in the appearance of Divine Elect relate to the Islamic doctrine? 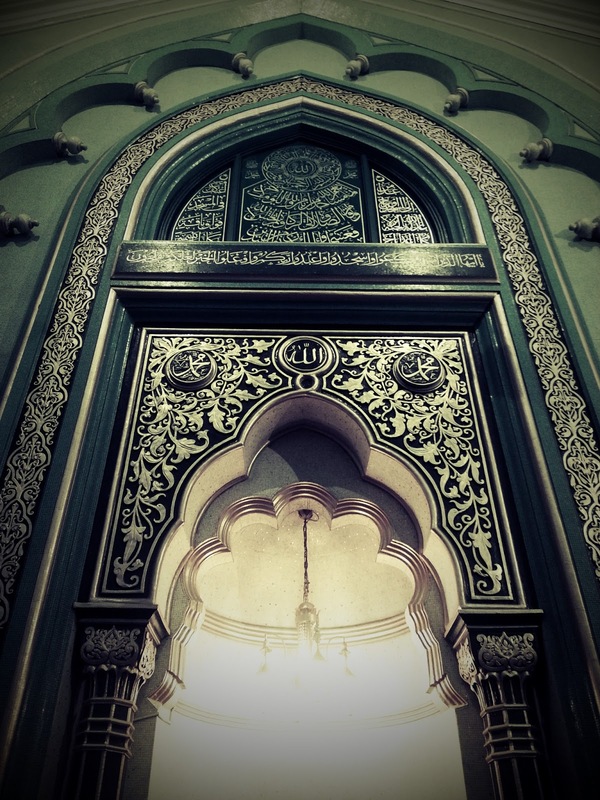 Can a lay person progress in faith in the time of a Prophet of Allah? Reproduced below is a speech delivered by Hadhrat Khalifatullah (atba) at the Noor'ul Islam Masjid at Mathra (Kerala, India), addressing his disciples from Kerala and Tamil Nadu, who were gathered at the Mosque during the days of his stay at Mathra, January 16-21, 2017. Alhamdulillah, Summa Alhamdulillah, it is indeed a great blessing upon you that Allah has enabled this humble self to appear in your time and has vouchsafed me the instruction to come to you and address you here in Kerala. It is indeed a pleasure for me to be among you today and talking to you face to face. These days the grace of God descends from heaven, signs appear and exiled faith returns to its home of jewels from the mine of divine sciences which are widely distributed. This is a time when the unbelievers begin to tremble with fear and tears of joy fill the eyes of believers. It is time to wake up those who are asleep so that they may benefit from this spiritual joy and blessing. This is the moment when a person must choose between accepting and denying. The faces of those who have agreed to be part of this divine blessing are filled with joy, while those who have turned their backs to the divine truth and messenger look dark and sad. Alas for them! If only they knew what they are missing! 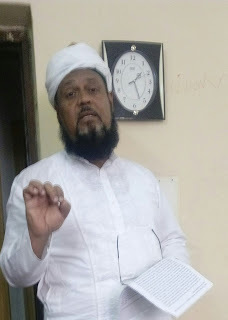 It is my duty to advise to those who have taken the oath of allegiance and enter in the Jamaat Ul Sahih Al Islam, be it here in Kerala and elsewhere in the world, and I will say the same thing as Hazrat Massih Ma’ud Mirza Ghulam Ahmad (as) has said before me because I am the true servant and messenger of Allah and an obedient follower of Hazrat Muhammad (pbuh) and the Promised Messiah (as). 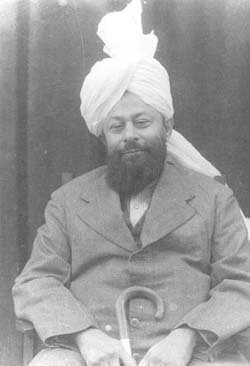 In this era, Allah (swt) has raised this humble self as the Khalifatullah, to continue the work of the Holy Prophet Muhammad (pbuh) and that of the Promised Messiah Hazrat Mirza Ghulam Ahmad (as). So, my dear disciples, here (in Kerala) and around the world who have taken the oath of allegiance and enter in the Jamaat Ul Sahih Al Islam, let me remind you that the initiation itself is like sowing the seed of goodness. If a gardener does not take care of his newly planted trees and seedlings, neither watering them nor protecting them, his plants would go to waste. Similarly, Satan is always there with human beings so that if a person does not take care to protect the good deeds he has performed, they will go to waste. All people including the Muslims, perform the duties of their religion but they do not make any progress. The reason for this is that they do not think of developing further their sphere of good acts and hence their deeds enter the fold of custom and tradition. Jamaat Ul Sahih Al Islam, India was established and officially registered with the government in the State of Kerala in the year 2010, with the Bai’at of our brother Mukarram R. Jamaluddin Raother Saheb of Mathra (presently Amir Saheb of the South Kerala Jamaat), Dr. E. Tahir Saheb of Kannur (presently Amir Saheb of the North Kerala Jamaat), and other brothers in Alappuzha. 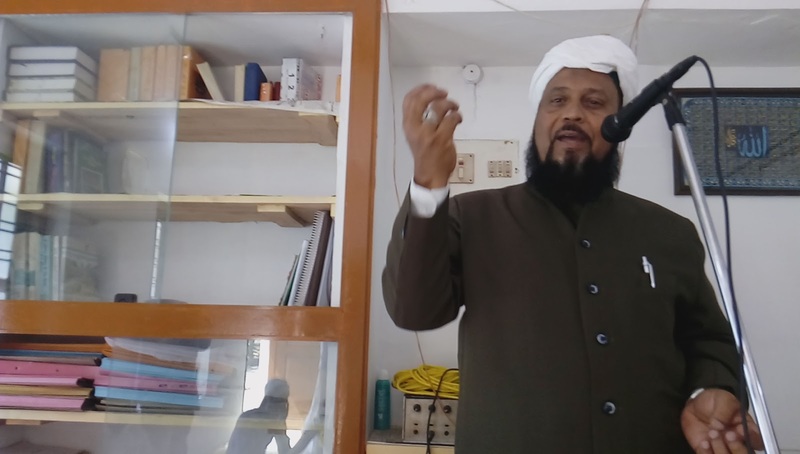 It has been a longstanding wish of the members of the Jamaat in Kerala to meet with the Divinely-inspired and appointed Muhyi-ud-Din of this era, the Khalifatullah Hadhrat Munir Ahmad Azim Saheb (atba) of Mauritius, ever since the time Allah (swt) blessed them with the light of faith to recognize and accept His Messenger of the era. Alhamdulillah, it is this cherished spiritual wish of the sincere believers that has come to fruition with the visit of the Khalifatullah (atba) and the blessed family members. 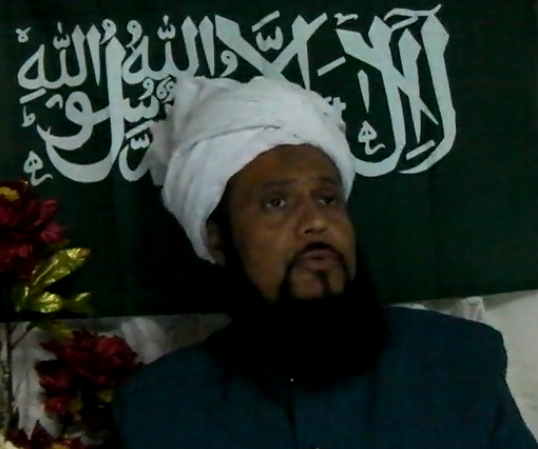 The Muhyi-ud-Din Al Khalifatullah of Jamaat Ul Sahih Al Islam International, Hadhrat Munir Ahmad Azim Saheb (atba) of Mauritius and the blessed members of the Household- Ummahaatul Mu’mineen Hazrat Nazira Begum Saheba, Hazrat Fazli Amena Varsally Saheba (International Sadr, Siraj Makin) Hazrat Tayyeba Shaheeda Nasrine Aliah Saheba and Sahebzada Abdul Muhaymin Alimuddin Salim Azim- paid a historic visit to India, January 16-30, 2017. The visit took place under the Will and grace of Allah (swt) in the dawn of a new year, literally marking a new page in the Book of Time and the evolving spiritual lives of all members of the Jamaat Ul Sahih Al Islam, India. The journey of these blessed messengers of His Deen through India took place despite several hurdles, with the shadow of Divine help and special assistance, making every moment of the two- weeks stay in India, a spiritually uplifting experience for all those who were in the circle of the Divine Manifestation during those days, Soumma Alhamdulillah. In the coming days, the Sahih Al Islam Blog intents to celebrate and record this important event in the annals of the Jamaat Ul Sahih Al Islam, India with the publication of a series of brief reports capturing the journey experiences and conversations, including the photos taken on the occasion by people who travelled along and chronicled the events and encounters with people as it happened, Insha Allah, Ameen. In the first of this series today, we record the arrival and welcome of the visiting Team at Chennai and their journey to the Noor’ul Islam Masjid at Mathra, Kerala on Monday, 16th of January 2017. On their arrival at the Chennai International Airport on Monday, January 16th, Hadhrat Khalifatullah (atba) and family members were warmly received by the delegates of the Jamaat Ul Sahih Al Islam, Kerala: Hazrat Mukarram Fazil Jamal, wife Haseena M. Fazil Saheba and their little son Zaki Mubarak Aziz Raother. Haseena M. Fazil Saheba, who holds the charge of Sadr, Siraj Makin of the Jamaat Ul Sahih Al Islam-South Kerala, was there also to receive the Ummahatul Mu'mineen. 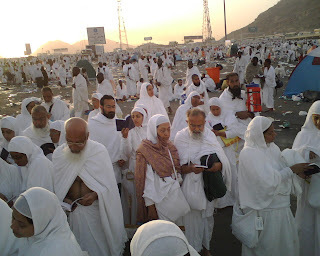 Though living in different continents all their lives and never met in person before, Allah (swt) brought them together under the leadership of His Elect of this era, with a blessed chance to "know one another as relatives from the same origin", like the Qur'an exhorts in Surah Al Hujurah. For our brother and his family, they have been regularly in touch with Hadhrat Khalifatullah (atba) and the Jamaat headquarters in Mauritius and official website over the course of the last six years almost on a daily basis; and yet, it was indeed their first, personal meeting with Hadhrat Khalifatullah (atba) and family and as such, it was a truly emotionally-overwhelming moment for them; where the hearts spoke louder than anything tongues could express through words, Alhamdulillah. Divine love and mercy for His Elect came in the broad day light of Chennai Airport and this humble self became a witness to the descent of Divine revelations on the Holy Master. At the Transit Lounge in the Chennai Airport, while waiting for the flight to Thiruvananthapuram, the whole team of eight people offered the collective prayers of Dhuhr and Aser. 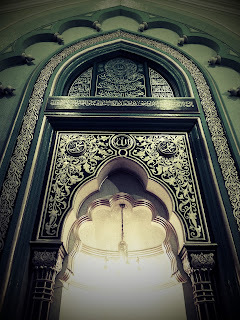 Soon, thereafter, Allah (swt) manifested His Grace and the Khalifatullah (atba) was vouchsafed with revelations in Arabic, containing good news for the sincere believers in the Divine Manifestation, including for a young member of the Team and also for Mathra, where the historic Noor’ul Islam Masjid, is located as the centre of all Jamaat activities of our brothers in the south of Kerala, Insha Allah, Aameen. Later, the team took the afternoon Air India Express flight to Thiruvananthapuram, capital city of Kerala. 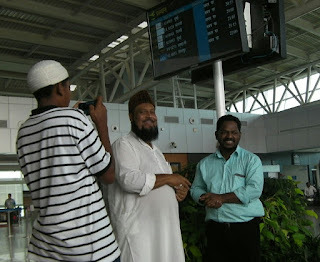 At Thiruvananthapuram, brothers including Azim Ahmed, Rakesh and Hamza, turned up at the international airport to register their enthusiasm to welcome the Khalifatullah (atba) and family to Kerala. Representatives of the South Jamaat, YK Harriz Saheb of Alappuzha, Shamsuddin Saheb of Palakkad, Sulfikar Ali Saheb of Kaliyikkavila soon reached the place with a Tempo Traveller to facilitate the transit journey of the Khalifatullah (atba) and Team to the Noor’ul Islam Masjid, Mathra, Alhamdulillah. The Team reached at Mathra by 9.30 pm in the night. 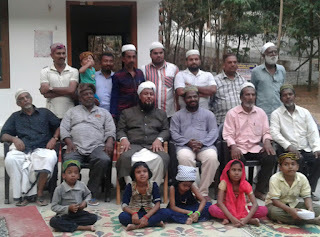 The Jamaat members, led by Amir Mukarram R. Jamaluddin Saheb and his family members- Shareefa Beebi Saheba, Sofiya Beebi Saheba, DA Zainul Abdeen Saheb, Fauzia Jamal Zain Saheba, Faezah Maryam Zain Saheba and Zachariah Ibn Zain- were there to receive and welcome Hadhrat Khalifatullah (atba) and family at the Fathima’s Thodiyil Veedu, the residence of the Amir Saheb where the Team were to stay till their departure to other places on the morning of Saturday, 21st January 2017. 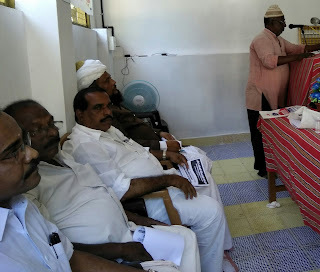 Our brothers K. Saleem Saheb and Abu Baker Saheb of Alappuzha travelled from their respective places well ahead of time so as to join the Amir Saheb and family at Mathra in welcoming our Imam, Hadhrat Khalifatullah (atba) and the respected members of the household into our land,Alhamdulillah. 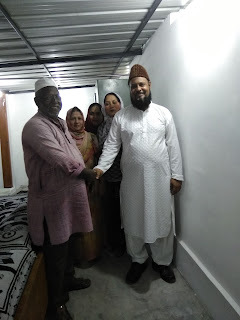 Like wise, our brother Sadiq Ali Saheb of Kaliyikkavila along with his wife Rajeena Sadiq Ali Saheba and little son Munir Ahmad Azim- also travelled long distances to witness the arrival of the Imam (atba) and family members. Shareefa Beebi Saheba, the respected mother of Fazil Jamal, had many months back made a beautiful dream in which she saw Hadhrat Khalifatullah (atba) and family arriving at her home in a big vehicle. Allah (swt) blessed the dream in full measure: despite her frail health, Shareefa Saheba was there to warmly receive Hadhrat Khalifatullah (atba) and the respected family members at her home, Summa Alhamdulillah. (To be continued).